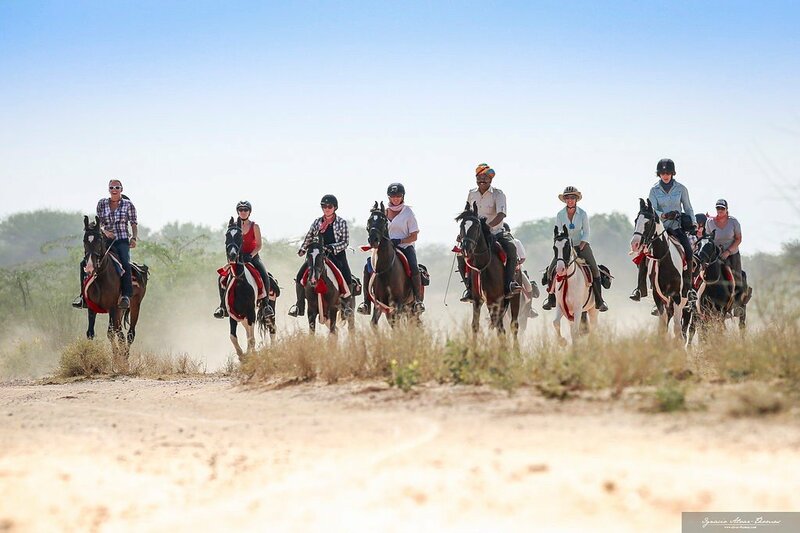 Jill test riding a new trail ride in rural Rajasthan, India. 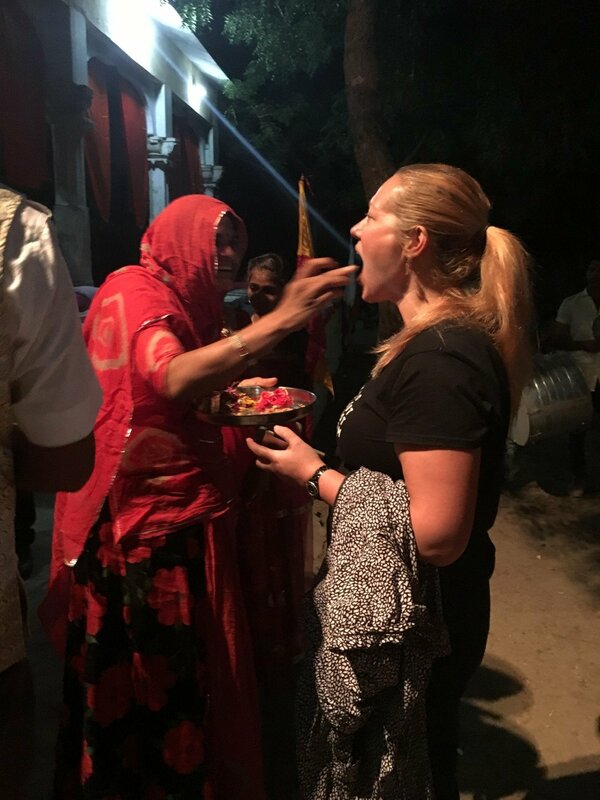 We sell quite a lot of riding holidays to India and it bothered me that I had never been out given the rave reviews clients come back with when they return. Zara has been out there lots and knows everyone, but I felt it was my time to get out there and find out what all the fuss was about and what I had been missing………………………..! 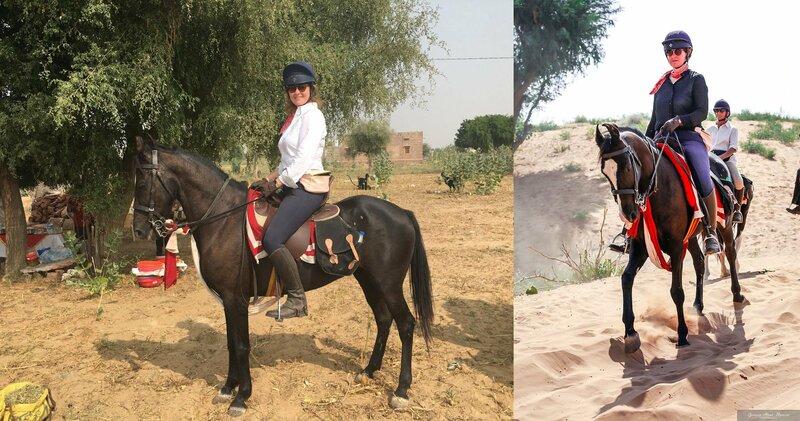 Rather than ride with one of the other established set-ups, I had been taken by a proposal from a Caroline Moorey who had contacted us late 2015 to tell us about a new company she had set up in India with local horseman and breeder Ajeet Singh. 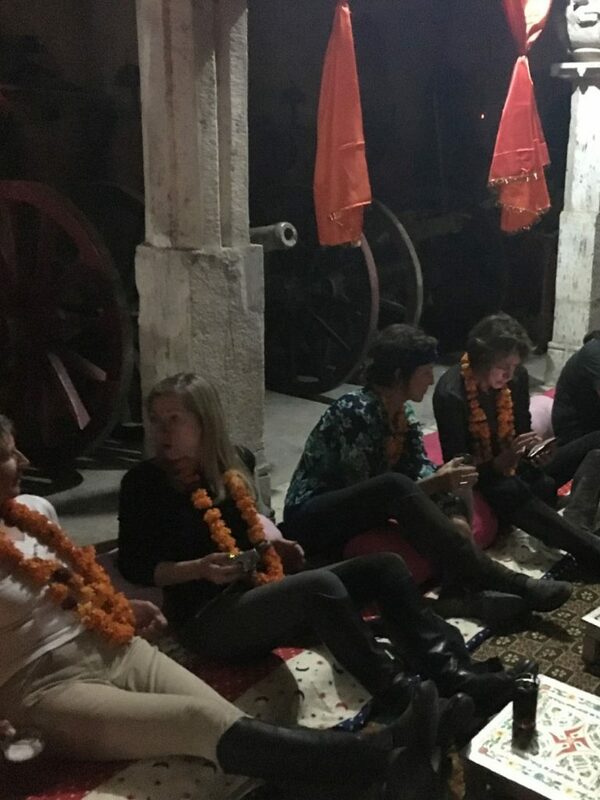 Caroline has ridden in India a lot and knows all the companies that operate in the Rajasthan region. 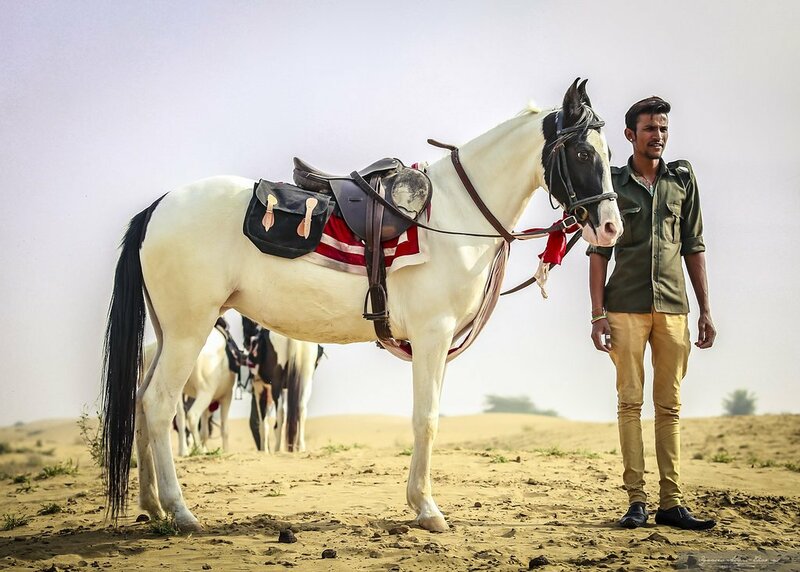 It was through her involvement with the Indigenous Horse Society of India, that she came to know Ajeet and between them they proposed to set up a company that used his fabulous horses and her knowledge of the riding, plus her understanding of what western clients desire when they are on a riding holiday. 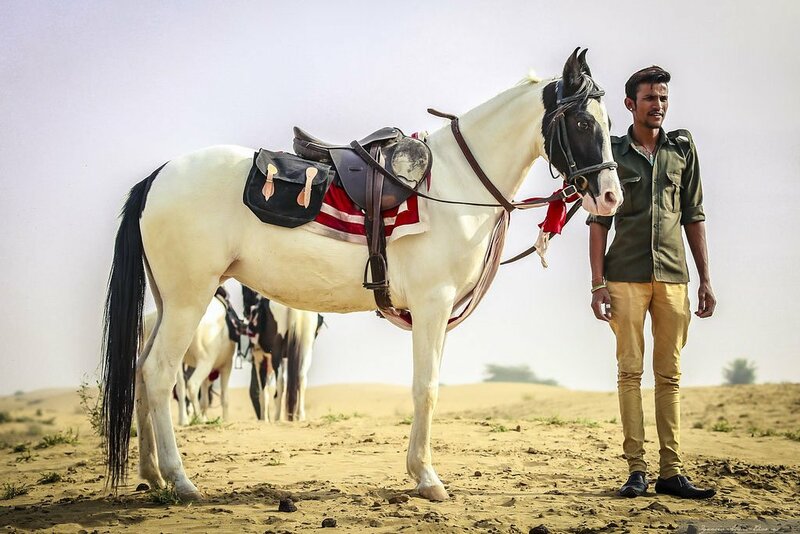 It was a no brainer, here was a potential partnership, that had the ethos of western horse care set up which delivered on an authentic cultural Indian riding adventure too – I was in……………not only that, I knew a few Zara’s Planet adventurers that would jump at the chance to join me. Caroline and I set about putting together a group itinerary and in January of 2016, we had a full group of 10 clients, booked in and up for the challenge! Our starting point was Jodhpur, how apt! There’s no 2 ways about it, you need to fly to Delhi or Mumbai and then an overnight before heading out the next day to Jodhpur. 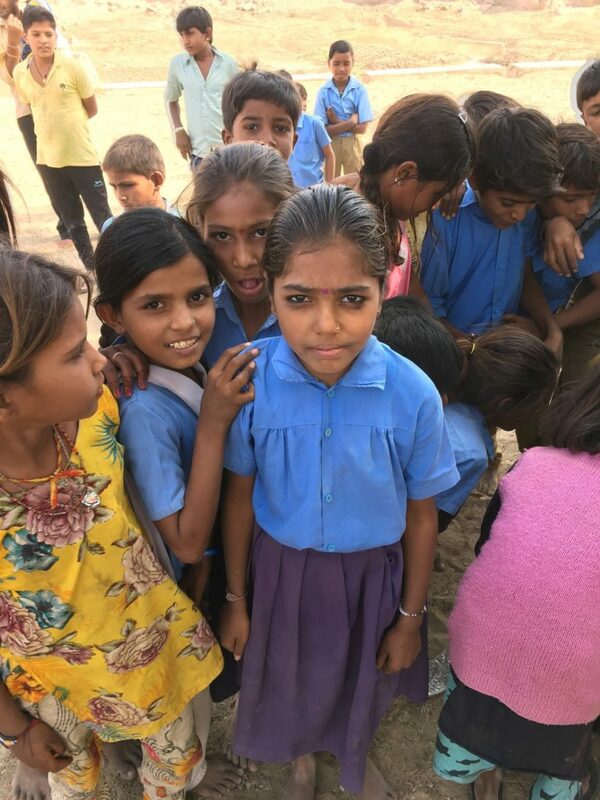 We had riders coming in from all over the world, but managed to all meet around the same time, to meet our hosts Caroline &Ajeet and jumping into our minibus to the start of the ride, and Ajeets home farm in Narlai………………………and what a first journey that was……………..! 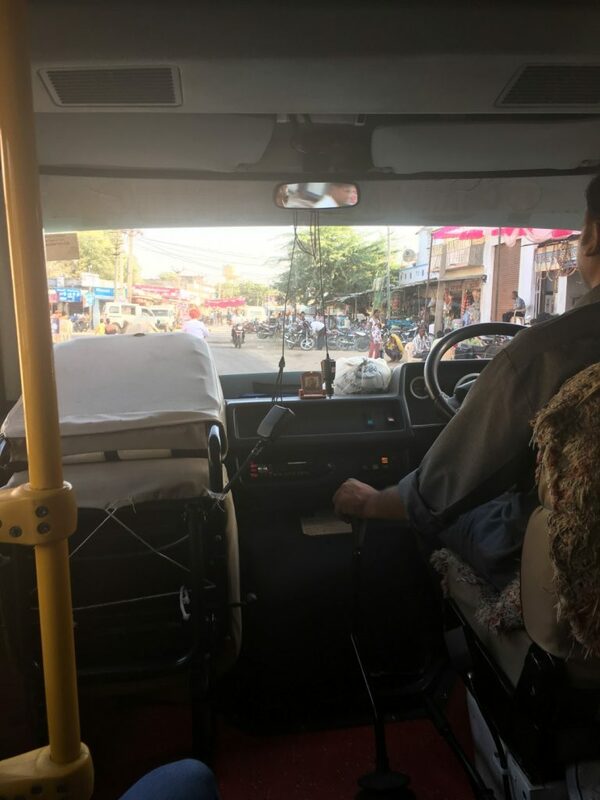 We arrived late afternoon into the little bustling town of Narlai, through narrow streets, touching motorbikes, people, dogs and cows as we drove up to the most beautiful country house hotel of RawlaNarlai, our home for the night. Old colonial style, beautiful gardens, attentive hosts and just a really chilled out place. It was so amazing, I was kicking myself that we hadn’t arrived here a day earlier to enjoy! 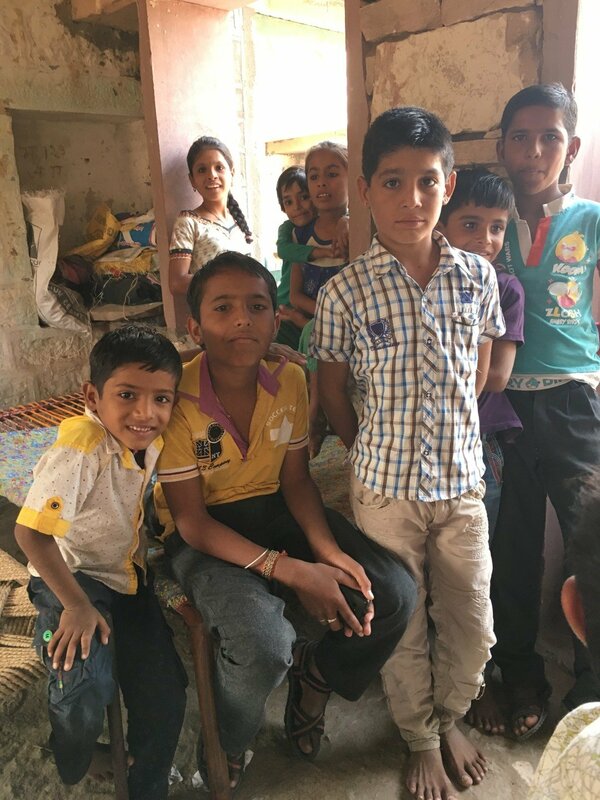 It was Dewali, the Hindu festival of lights and Ajeet had very kindly invited us all to his home to meet his family and celebrate the festival with him. Once we’d unpacked, changed into our riding gear and gathered in the courtyard, Ajeet lead us out to our mounts, which were all waiting in a long line just outside the hotel in the street, along with their smartly dressed and smiling grooms. 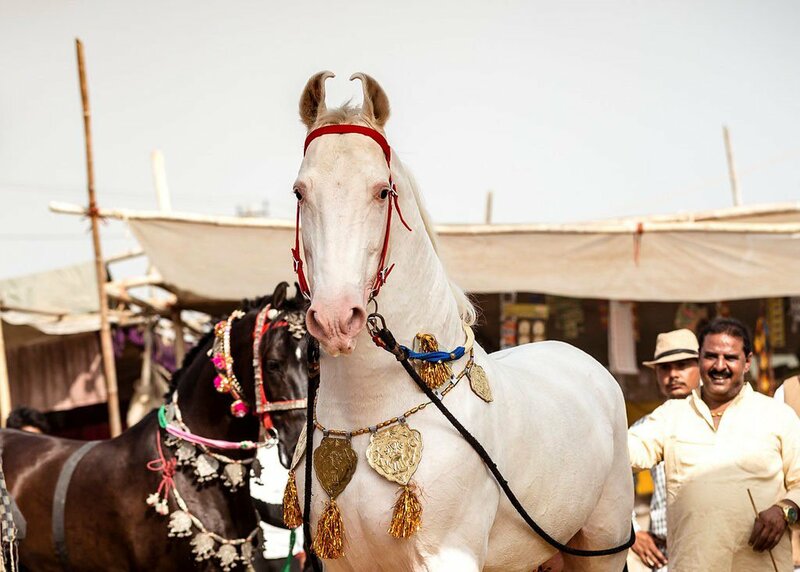 It was an awesome sight, beautiful Marwari horses standing up tall and elegantly with their curly ears, drawing us in with their colourful sashes and high topped saddles. 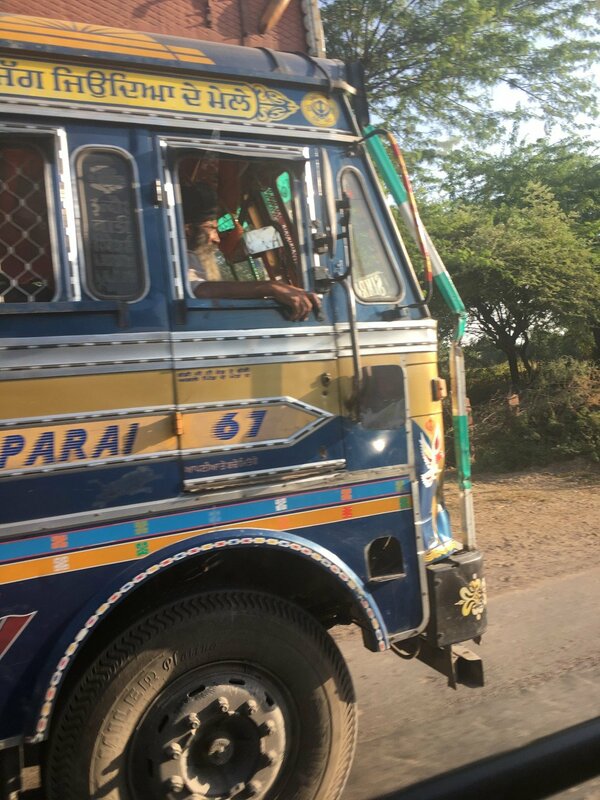 I couldn’t wait to get on and start the ride to Ajeets farm. Of course, I had already sent detailed information on the type of horses my clients wanted to ride, I know Ajeet and Caroline had a good idea of what we were riding, but Ajeet was really funny, asking us collectively what horse we wanted, some wanted spirited, some wanted safe (this is always my option, gone are the days I want to spend schooling a horse, I just want to get on and get riding, enjoying the countryside!) And once he got our names, he sent us all off to meet our mounts, it looked like he’d just decided on the spot, but as the ride progressed, all of us knew we had been perfectly matched with our mounts. The ride through the village was exciting, all the horses were fresh, we were all anxious of course, new horses, different tack and we also had beating drums and random fireworks to deal with and gathering crowds who were celebrating the festival. There was one near fall, when Ajeets stallion gave out a warning kick to one of the mares (this was different for most of us, all of the horses we rode were mares, led by Ajeets stallion, needless to say we did need to pay heed to their temperaments and give each other lots of space) luckily, Kevin, one of my super fit Canadian riders, didn’t budge, despite the mare twirling round several times – I of course looked on with horror, only to hear him laughing when the mare decided he was staying put and gave up! It was getting dark, which added to the thrill, some of the horses now were getting really frisky, but of course it was because we were nearly at the farm, we entered the courtyard to more drums and the most amazing welcome from Ajeet and his family. Drinks a plenty and a good home cooked meal, we sat on a terrace overlooking the yard and while we ate, we were presented with a show from Ajeets horses and staff, a mix of ceremonial horses and riders dressed in their traditional clothing, dancing horses, beating drums and even a dummy horse with a rider in the middle, which was pretty funny. 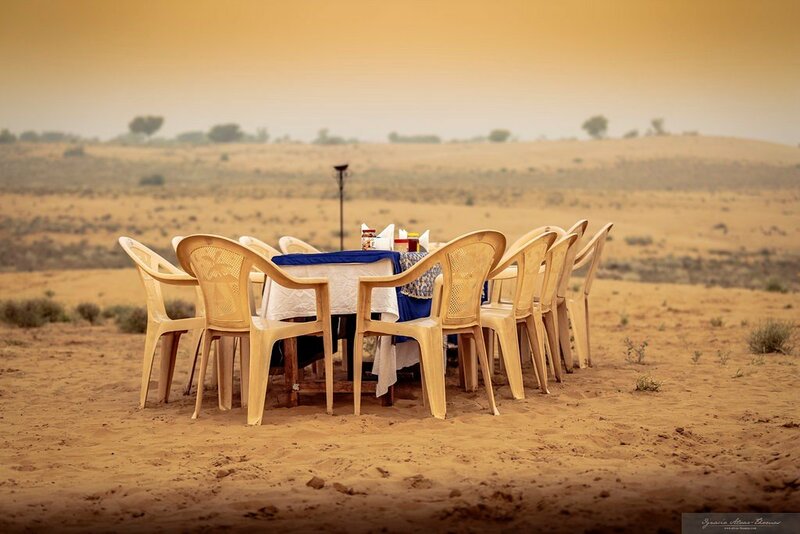 All in all a great start to what would be a sparkling, authentic ride through Rajasthan. We had opted to run through 2 trails, to give us a 9 night trip and give us space to explore 2 very different areas Rajasthan, the Leopard trail, which was countryside riding, in and out of villages and then split with a night in Jodhpur and a visit to the impressive Mehrangarh Fort, before heading into the desert for some dune riding, on the Osian Trail passing through rural farms. 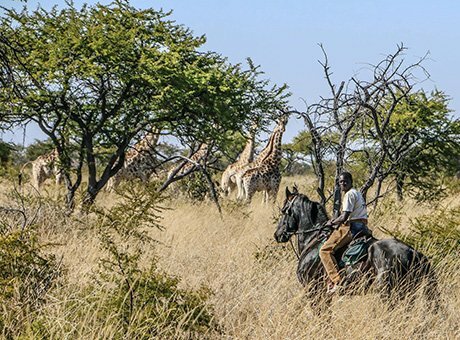 On both trails, the morning ride kicked off about 10/10.30am – be prepared for a long wait mounting and organising horses. The grooms are generous and kind, BUT they work slowly, we soon got used to it, and went with the flow, each person has a specific role and they don’t overlap. Once were off, depending on the route we were on it would be through villages, riverbeds, rocky forests and reservoir riding, before stopping for lunch at a village house or through the desert and over dunes, following tracks if it was the Osian trail and stopping off at small farms for lunch. A great mix, obviously lots of walking as we were long hours in the saddle and we had to look after our horses in the heat but we would step up to trots and get in a couple of gallops by the end of the day, and more as we got to the end of the ride and the group/horse dynamics had settled. This is where we were really spoiled, each one was at a locals own home, Ajeet knew them personally and the locals love the visits so much, he has to move them around, to make sure everyone gets a chance of meeting his guests and hosting. At the stops, we were given fresh wet towels to cool ourselves down and wipe off the dust from our faces and ordered by Caroline to drink the rehydrating liquid called Nimboo Pani, a mix of fresh lemon, salt, sugar and water – to be honest, it was really tasty and it did the trick, none of us got sick from dehydration, Caroline was spot on watching us like a hawk to make sure we downed at least 2 glasses before getting back on to ride in the afternoon. The actual lunches were something else, a long trestle table set up where we could choose between 4 or 5 dishes, when I say choose, mostly we tried them all – we had collectively chosen to have mostly vegetable curries, but there was some meat ones too and actually, the group agreed that the best one we had (and they were all fantastic) was the simplest, a fresh green pea curry! 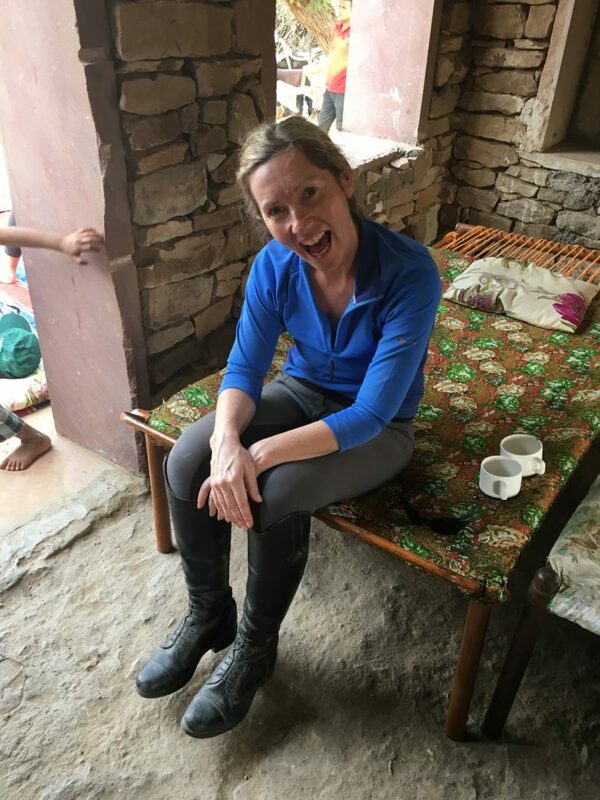 And then we slept………….carpets and cushions were rolled out and we were encouraged to have an afternoon nap before, getting back onto ride! Most days, we all had a snooze, but some days, especially when there were lots of kids at the stops, we played with them, chatting and answering their requests of a selfie! It was a unique interaction with people, I don’t think we would have had the privilege to meet had we not been with Ajeet! 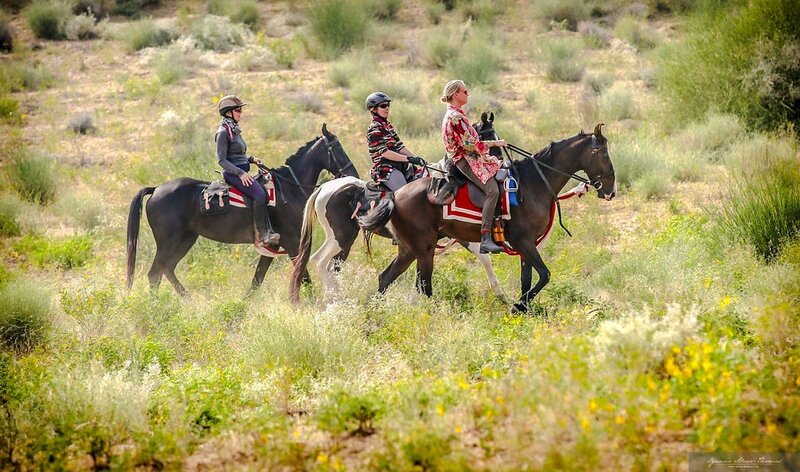 After long hours in the saddle, each day it was with great excitement, we rode into our new camps. We loved seeing the position of them, in front of lakes or high up on the top of sand dunes, each one chose for their beauty. 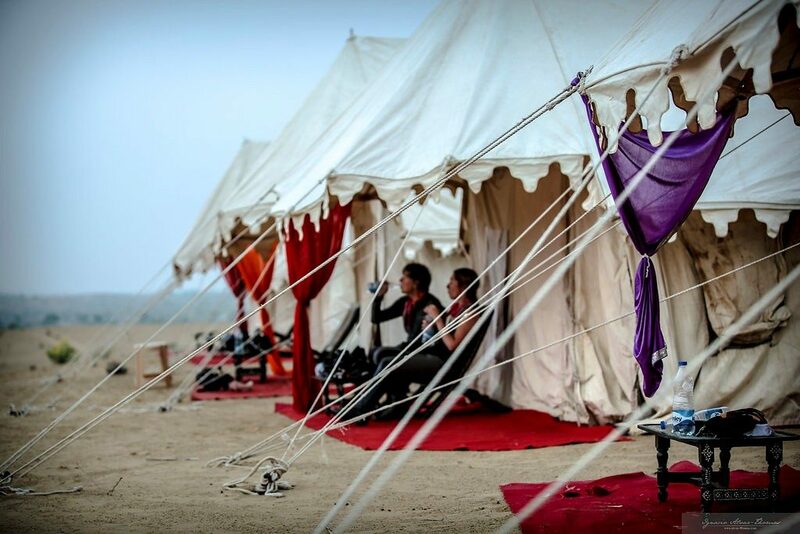 Our grooms waiting to look after our trusty steeds and for us a huge thank you and hug to our horses for looking after us that day…………..then a cold drink at the bar of course, before heading to our glorious tents, to shower and chill before supper. In front of our tents, again trestle table set up, with bar and food, and our own long table for dining. Again fantastic selection of food, nans, poppadoms, salads, curries, fresh vegetables – a couple of times, there were some pasta dishes, but as they saw we didn’t really go for those dishes, they soon realised we preferred the local dishes. Chat was great, we all came from different parts of the world, had ridden on so many places and the exchange of stories and experiences were unsurpassed. Helped along by the added drink of course! Ajeet and Caroline had also organised some local musicians and dancers to come in to camp a couple of nights, which we thoroughly enjoyed, dancing and music I had never heard before, again we would never had access to them had we not been with Ajeet. They are so big, plenty of space, unexpectedly comfortable beds and ensuite bathrooms, even with porcelain toilets! No showers as such, but a standing tray where you can dowse yourself over with hot water each night and morning. I’m not sure what I expected, certainly I expected them to be light, possibly even thin, how wrong was I, some were bordering on fat, an expression of how much Ajeet loves his horses – do you know that in his will (bit morbid, but just shows you what kind of man he is) he has left a proportion of it for his horses to make sure they are cared for in his absence ………………….! There was a good mix, some really robust ones, who were really steady and well behaved, some younger ones, that needed some riding, but are so obliging, some really hot ones that gave our riders that wanted spirited horses the rides of their lives – Kevin, certainly had he been allowed would have taken his beautiful mare home. 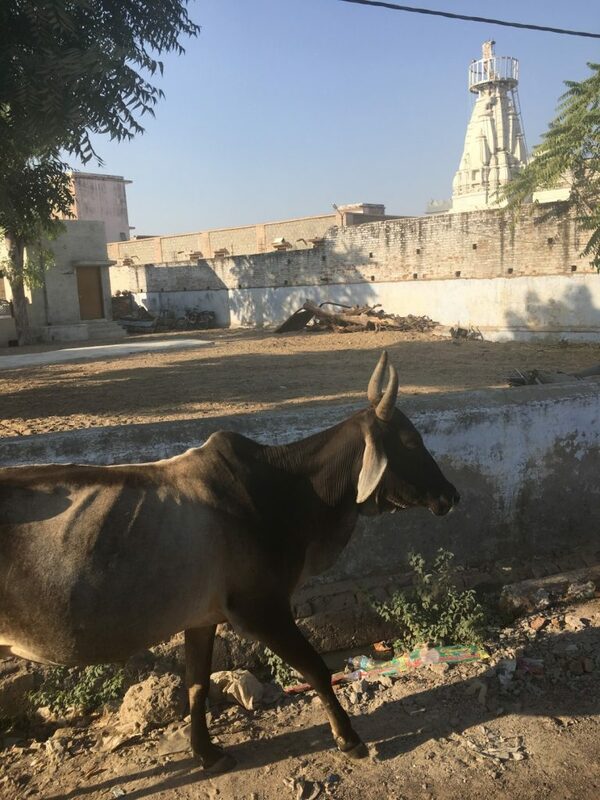 And there’s so much you’ll learn about the Marwari breed, like how they aren’t allowed to leave the country, such is the value of them to the people to Rajasthan, plus how much they are worth, you have to be rich to own one, they are often only kept to show off a person’s wealth. 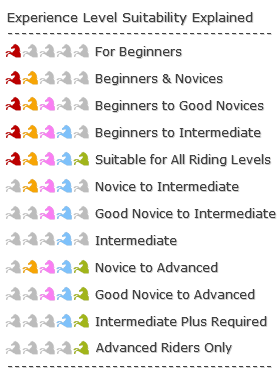 On average, our horses I think were worth about £20,000 each – I know, EXPENSIVE for trail horses, although they are also used for processions and of course breeding, with Caroline’s guidance, his program is even better. Do you know that breed standards there are more about colour and if the ears touch than conformation? I fell in love with my mare, I always ask our partners to give our clients their best horses and I will ride whatever is left, I think I may have got a very good deal, she was touching 15hh, beautiful (we show, so I am a sucker for a pretty pony), she was forward going, but always came back at the touch of the reins and she powered on to the end! Her name is Kayseri and I miss her as I do all the horses I ride on adventures, all of them end up with a place in my heart, after they have looked after and cared for me so well! Sadly at the end of the trip, I had to hot foot it back to the UK, family was calling, along with business, my own horses and a new puppy! 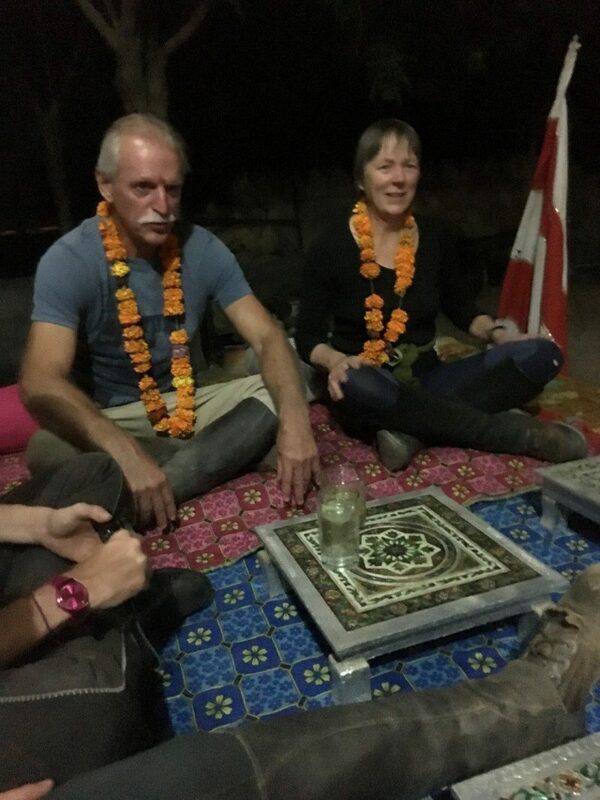 But a good part of the group, then headed off to Pushkar Fair to a tented village, accompanied with Ajeet & Caroline. Slightly kicking myself I hadn’t stayed, it’s the biggest Agricultural festival in Rajasthan, where people meet to trade horses, camels, donkeys, pretty much anything and enjoy festivities too – my clients had a rare time and got a full on cultural experience, meeting and hanging out with Ajeets friends and acquaintances. If you decide to go at this time, this is a must see, you just need a couple of nights as an add-on. 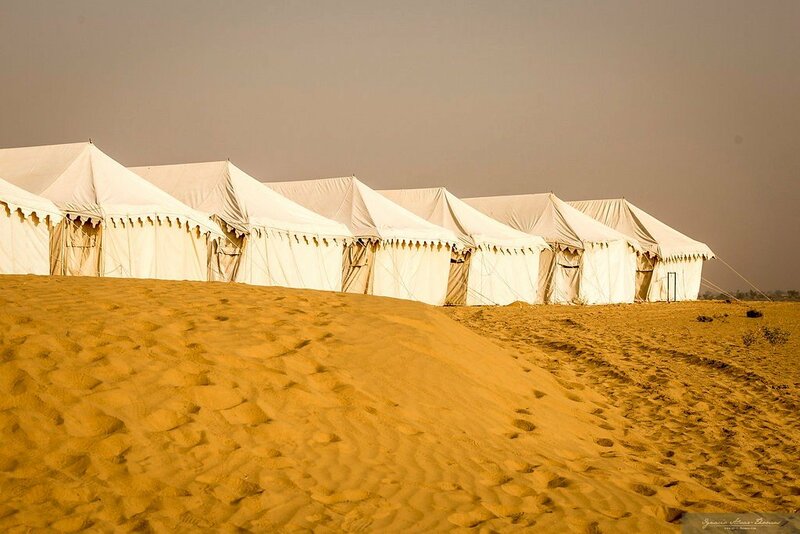 And so it was with a very sad heart, we said goodbye, the camp staff which was huge, as I said everyone has a job, camp cooks, barmen, grooms, tent staff and more, all stood in line and we thanked them personally for all their hard work and care. Believe me this is a shortened an edited piece on the trip, I could go on………..so many other things we saw, experienced and enjoyed which of course means only one thing, we’ll all go back! 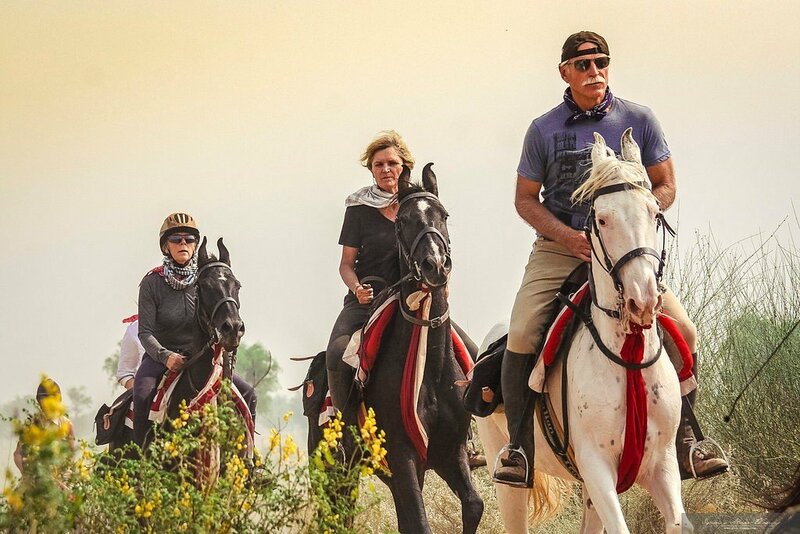 If you have thought of visiting India and riding, please go and please call, email or enquire now – we think we have found a unique company that offers an authentic journey through Rajasthan on incredible Marwari horses. 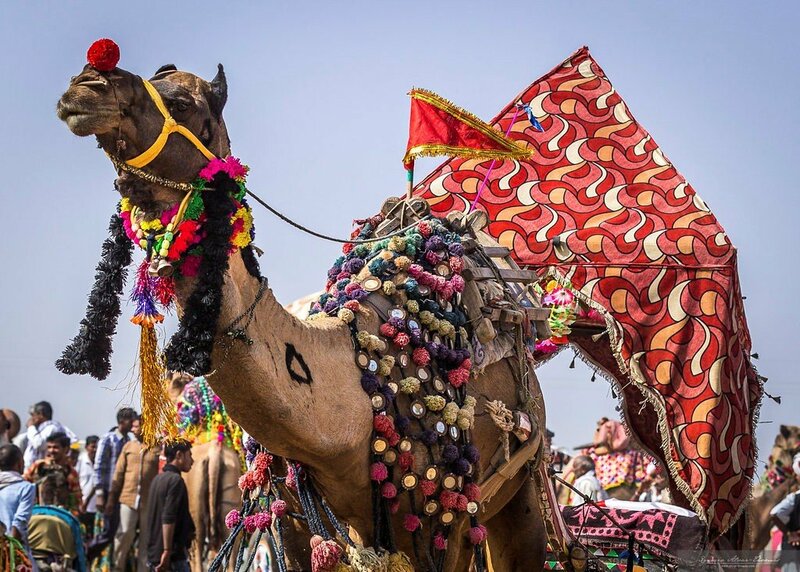 There are a selection of rides to choose from and we can also put together private itineraries – click here http://www.zarasplanet.com/destinations/asia-india/ . Remember the season runs October to March, the rest of the year is too hot to ride.